Oak Leaves and Acorns Vanity Light-24"
Oak Leaves and Acorns Vanity Light-36"
Oak Leaves and Acorns Vanity Light-48"
Oak Leaves and Acorns Vanity Light. 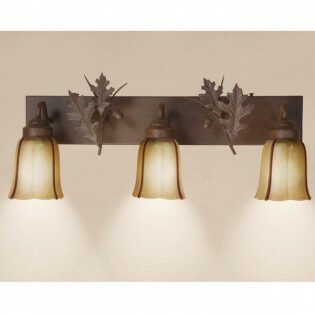 This rustic vanity light features dimensional sprigs of oak leaves with acorns. You can customize your vanity light with choices of 2 finishes and 2 shade styles. 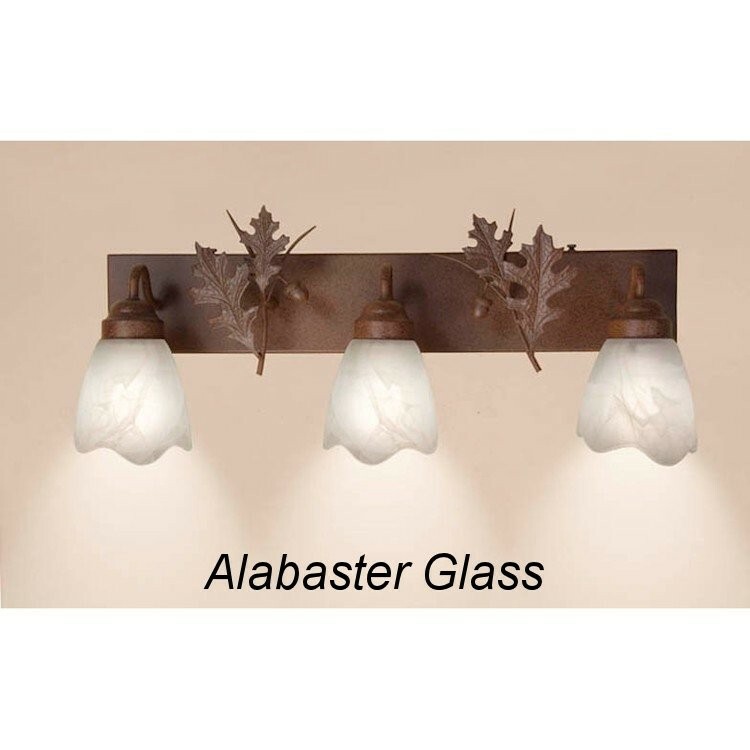 All three sizes have a projection of approx 4.25", and use 100 watt bulbs.